Natural gas, in itself, might be considered an uninteresting gas - it is colorless, shapeless, and odorless in its pure form. Natural gas is the gas component of coal and oil formation. It is used in industrial and commercial heating and cooking, and, increasingly, to fuel electricity generation. In a compressed form, natural gas can also be used as a transportation fuel. Natural gas is either found mixed in oil or is released from coal. Energy in 6,000 cubic feet of natural gas is equivalent to one barrel of oil. Natural gas was formed millions of years ago when most of the earth was covered by water. Plant and tiny animal remains were mixed and layered with sand and mud. When the Earth underwent natural but drastic changes to form today’s landscape, the intense heat and pressure transformed these fossils into hydrocarbons—chemical compounds of hydrogen and carbon atoms. Natural gas is made up mainly of a chemical called methane, a simple, compound that has a carbon atom surrounded by four hydrogen atoms. Methane is highly flammable and burns almost completely. There is no ash and very little air pollution. Depending on the arrangement of the atoms, what were once sea plants and animals are now natural gas or crude oil deposits contained in the earth’s crust. Natural gas (a combustible, gaseous mixture of simple hydrocarbons) is a very light portion of petroleum, which includes both natural gas and crude oil. Natural gas may rise to the surface through natural openings in the earth’s crust or can be brought to the surface through man-made wells. Humans discovered thousands of years ago that this naturally occurring resource could be burned and used for heat and light. Before there was an understanding of what natural gas was, it posed somewhat of a mystery to man. Sometimes, such things as lightning strikes would ignite natural gas that was escaping from under the earth's crust. This would create a fire coming from the earth, burning the natural gas as it seeped out from underground. These fires puzzled most early civilizations, and were the root of much myth and superstition. One of the most famous of these types of flames was found in ancient Greece, on Mount Parnassus approximately 1000 B.C. A goat herdsman came across what looked like a 'burning spring', a flame rising from a fissure in the rock. 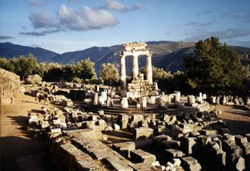 The Greeks, believing it to be of divine origin, built a temple on the flame. This temple housed a priestess who was known as the Oracle of Delphi, giving out prophecies she claimed were inspired by the flame. Manufactured natural gas of this type (as opposed to naturally occurring gas) was first brought to the United States in 1816, when it was used to light the streets of Baltimore, Maryland. However, this manufactured gas was much less efficient, and less environmentally friendly, than modern natural gas that comes from underground. Naturally occurring natural gas was discovered and identified in America as early as 1626, when French explorers discovered natives igniting gases that were seeping into and around Lake Erie. The American natural gas industry got its beginnings in this area. In 1859, Colonel Edwin Drake (a former railroad conductor who adopted the title 'Colonel' to impress the townspeople) dug the first well. Drake hit oil and natural gas at 69 feet below the surface of the earth. Most in the industry characterize this well as the beginning of the natural gas industry in America. A two-inch diameter pipeline was built, running 5 and ½ miles from the well to the village of Titusville, Pennsylvania. The construction of this pipeline proved that natural gas could be brought safely and relatively easily from its underground source to be used for practical purposes. 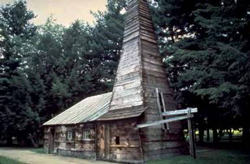 In 1821, the first well specifically intended to obtain natural gas was dug in Fredonia, New York by William Hart. After noticing gas bubbles rising to the surface of a creek, Hart dug a 27-foot well to try and obtain a larger flow of gas to the surface. Hart is regarded by many as the 'father of natural gas' in America. Expanding on Hart's work, the Fredonia Gas Light Company was eventually formed, becoming being the first American natural gas company. In 1885, Robert Bunsen invented what is now known as the Bunsen burner. He managed to create a device that mixed natural gas with air in the right proportions, creating a flame that could be safely used for cooking and heating. The invention of the Bunsen burner opened up new opportunities for the use of natural gas in America, and throughout the world. The invention of temperature-regulating thermostatic devices allowed for better use of the heating potential of natural gas, allowing the temperature of the flame to be adjusted and monitored. Without any way to transport it effectively, natural gas discovered pre-WWII was usually just allowed to vent into the atmosphere, or burnt, when found alongside coal and oil, or simply left in the ground when found alone. One of the first lengthy pipelines was constructed in 1891. This pipeline was 120 miles long, and carried natural gas from wells in central Indiana to the city of Chicago. However, this early pipeline was very rudimentary, and was not very efficient at transporting natural gas. It wasn't until the 1920s that any significant effort was put into building a pipeline infrastructure. After World War II, welding techniques, pipe rolling, and metallurgical advances allowed for the construction of reliable pipelines. This post-war pipeline construction boom lasted well into the ‘60s, and allowed for the construction of thousands of miles of pipeline in America. Once the transportation of natural gas was possible, new uses for natural gas were discovered. These included using natural gas to heat homes and operate appliances such as water heaters and oven ranges. Industry began to use natural gas in manufacturing and processing plants. Also, natural gas was used to heat boilers used to generate electricity. The transportation infrastructure had made natural gas easy to obtain, and it was becoming an increasingly popular form of energy. In its natural state you can’t see or smell natural gas. It is colorless, odorless and lighter than air. Mercaptan, a chemical odorant, is added to natural gas so it can be smelled if it leaks. Natural gas is made up mostly of methane, which has a simple hydrocarbon structure of one carbon atom and four hydrogen atoms (CH4). This means it burns easily and emits less pollution. When natural gas is burned, it produces mostly carbon dioxide and water vapor. While natural gas is formed primarily of methane, it can also include ethane, propane, butane and pentane. Natural gas can be found in a variety of different underground formations, including: shale formations, sandstone beds, coal seams, and deep, salt water aquifers (underground ponds of water). Natural gas wells have traditionally been drilled vertically, at depths ranging from a few thousand feet to as deep as five miles. There are many different theories as to the origins of fossil fuels. The most widely accepted theory says that fossil fuels are formed when organic matter (such as the remains of a plant or animal) is compressed under the earth, at very high pressure for a very long time. This is referred to as thermogenic methane. Similar to the formation of oil, thermogenic methane is formed from organic particles that are covered in mud and other sediment. Over time, more and more sediment and mud and other debris are piled on top of the organic matter. This sediment and debris puts a great deal of pressure on the organic matter, which compresses it. This compression, combined with high temperatures found deep underneath the earth, breaks down the carbon bonds in the organic matter. As one gets deeper and deeper under the earth’s crust, the temperature gets higher and higher. At low temperatures (shallower deposits), more oil is produced relative to natural gas. At higher temperatures, however, more natural gas is created, as opposed to oil. That is why natural gas is usually associated with oil in deposits that are 1 to 2 miles below the earth's crust. Deeper deposits, very far underground, usually contain primarily natural gas, and in many cases, pure methane. Natural gas can also be formed through the transformation of organic matter by tiny microorganisms. This type of methane is referred to as biogenic methane. Methanogens, tiny methane-producing microorganisms, chemically break down organic matter to produce methane. These microorganisms are commonly found in areas near the surface of the earth that are void of oxygen. These microorganisms also live in the intestines of most animals, including humans. Formation of methane in this manner usually takes place close to the surface of the earth, and the methane produced is usually lost into the atmosphere. In certain circumstances, however, this methane can be trapped underground, recoverable as natural gas. An example of biogenic methane is landfill gas. Waste-containing landfills produce a relatively large amount of natural gas from the decomposition of the waste materials that they contain. New technologies are allowing this gas to be harvested and used to add to the supply of natural gas. A third way in which methane (and natural gas) may be formed is through abiogenic processes. Extremely deep under the earth's crust, there exist hydrogen-rich gases and carbon molecules. As these gases gradually rise towards the surface of the earth, they may interact with minerals that also exist underground, in the absence of oxygen. This interaction may result in a reaction, forming elements and compounds that are found in the atmosphere (including nitrogen, oxygen, carbon dioxide, argon, and water). If these gases are under very high pressure as they move toward the surface of the earth, they are likely to form methane deposits, similar to thermogenic methane. The practice of locating natural gas and petroleum deposits has been transformed dramatically in the last 20 years with the advent of extremely advanced, ingenious technology. In the early days of the industry, the only way of locating underground petroleum and natural gas deposits was to search for surface evidence of these underground formations. Those searching for natural gas deposits were forced to scour the earth, looking for seepages of oil or gas emitted from underground before they had any clue that there were deposits underneath. However, because such a low proportion of petroleum and natural gas deposits actually seep to the surface, this made for a very inefficient and difficult exploration process. As the demand for fossil fuel energy has increased dramatically over the past years, so has the necessity for more accurate methods of locating these deposits. 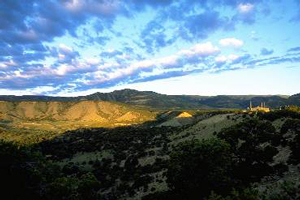 Technology has allowed for a remarkable increase in the success rate of locating natural gas reservoirs. In this section, it will be outlined how geologists and geophysicists use technology and knowledge of the properties of underground natural gas deposits to gather data that can later be interpreted and used to make educated guesses as to where natural gas deposits exist. However, it must be remembered that the process of exploring for natural gas and petroleum deposits is characteristically an uncertain one, due to the complexity of searching for something that is often thousands of feet below ground. Exploration for natural gas typically begins with geologists examining the surface structure of the earth, and determining areas where it is geologically likely that petroleum or gas deposits might exist. It was discovered in the mid 1800s that ‘anticlinal slopes’ had a particularly increased chance of containing petroleum or gas deposits. These anticlinal slopes are areas where the earth has folded up on itself, forming the dome shape that is characteristic of a great number of reservoirs. By surveying and mapping the surface and sub-surface characteristics of a certain area, the geologist can extrapolate which areas are most likely to contain a petroleum or natural gas reservoir. The geologist has many tools at his disposal to do so, from the outcroppings of rocks on the surface or in valleys and gorges, to the geologic information attained from the rock cuttings and samples obtained from the digging of irrigation ditches, water wells, and other oil and gas wells. This information is all combined to allow the geologist to make inferences as to the fluid content, porosity, permeability, age, and formation sequence of the rocks underneath the surface of a particular area. For example, in the picture shown, a geologist may study the outcroppings of rock to gain insight into the geology of the subsurface areas. Once the geologist has determined an area where it is geologically possible for a natural gas or petroleum formation to exist, further tests can be performed to gain more detailed data about the potential reservoir area. These tests allow for the more accurate mapping of underground formations, most notably those formations that are commonly associated with natural gas and petroleum reservoirs. These tests are commonly performed by a geophysicist, one who uses technology to find and map underground rock formations. Arguably the biggest breakthrough in petroleum and natural gas exploration came through the use of basic seismology. Seismology refers to the study of how energy, in the form of seismic waves, moves through the Earth's crust and interacts differently with various types of underground formations. In 1855, L. Palmiere developed the first 'seismograph', an instrument used to detect and record earthquakes. This device was able to pick up and record the vibrations of the earth that occur during an earthquake. However, it wasn't until 1921 that this technology was applied to the petroleum industry and used to help locate underground fossil fuel formations. 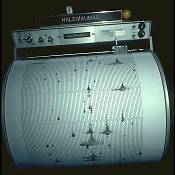 The basic concept of seismology is quite simple. As the Earth's crust is composed of different layers, each with its own properties, energy (in the form of seismic waves) traveling underground interacts differently with each of these layers. These seismic waves, emitted from a source, will travel through the earth, but also be reflected back toward the source by the different underground layers. Through seismology, geophysicists are able to artificially create vibrations on the surface and record how these vibrations are reflected back to the surface, revealing the properties of the geology beneath. An analogy that makes intuitive sense is that of bouncing a rubber ball. A rubber ball that is dropped on concrete will bounce in a much different way than a rubber ball dropped on sand. In the same manner, seismic waves sent underground will reflect off dense layers of rock much differently than extremely porous layers of rock, allowing the geologist to infer from seismic data exactly what layers exist underground and at what depth. While the actual use of seismology in practice is quite a bit more complicated and technical, this basic concept still holds. In practice, using seismology for exploring onshore areas involves artificially creating seismic waves, the reflection of which are then picked up by sensitive pieces of equipment called 'geophones' that are embedded in the ground. The data picked up by these geophones is then transmitted to a seismic recording truck, which records the data for further interpretation by geophysicists and petroleum reservoir engineers. 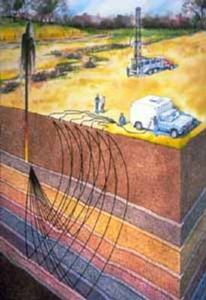 The drawing shows the basic components of a seismic crew. The source of seismic waves (in this case an underground explosion) creates that reflect off the different layers of the Earth, to be picked up by geophones on the surface and relayed to a seismic recording truck to be interpreted and logged. created using dynamite. These carefully planned, small explosions created the requisite seismic waves, which were then picked up by the geophones, generating data to be interpreted by geophysicists, geologists, and petroleum engineers. Recently, due to environmental concerns and improved technology, it is often no longer necessary to use explosive charges to generate the needed seismic waves. Instead, most seismic crews use non-explosive seismic technology to generate the required data. This non-explosive technology usually consists of a large heavy-wheeled or tracked-vehicle carrying special equipment designed to create a large impact or series of vibrations. These impacts or vibrations create seismic waves similar to those created by dynamite. 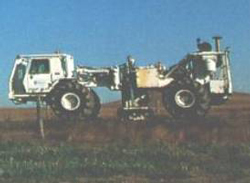 In the seismic truck shown, the large piston in the middle is used to create vibrations on the surface of the earth, sending seismic waves that are used to generate useful data. The same sort of process is used in offshore seismic exploration. When exploring for natural gas that may exist thousands of feet below the seabed floor, which may itself be thousands of feet below sea level, a slightly different method of seismic exploration is used. Instead of trucks and geophones, a ship is used to pick up the seismic data and hydrophones are used to pick up seismic waves underwater. These hydrophones are towed behind the ship in various configurations depending on the needs of the geophysicist. Instead of using dynamite or impacts on the seabed floor, the seismic ship uses a large air gun, which releases bursts of compressed air under the water, creating seismic waves that can travel through the Earth's crust and generate the seismic reflections that are necessary. In addition to using seismology to gather data concerning the composition of the Earth's crust, the magnetic properties of underground formations can be measured to generate geological and geophysical data. This is accomplished through the use of magnetometers, which are devices that can measure the small differences in the Earth's magnetic field. In the early days of magnetometers, the devices were large and bulky, and only able to survey a small area at a time. In addition to using variances in the Earth's magnetic field, geophysicists can also measure and record the difference in the Earth's gravitational field to gain a better understanding of what is underground. Different underground formations and rock types all have a slightly different effect on the gravitational field that surrounds the Earth. By measuring these minute differences with very sensitive equipment, geophysicists are able to analyze underground formations and develop clearer insight into the types of formations that may lie below ground, and whether or not the formations have the potential for containing hydrocarbons like natural gas. The best way to gain a full understanding of subsurface geology and the potential for natural gas deposits to exist in a given area is to drill an exploratory well. This consists of digging into the Earth's crust to allow geologists to study the composition of the underground rock layers in detail. In addition to looking for natural gas and petroleum deposits by drilling an exploratory well, geologists also examine the drill cuttings and fluids to gain a better understanding of the geologic features of the area. Logging, explained below, is another tool used in developed as well as exploratory wells. Drilling an exploratory well is an expensive, time consuming effort. Therefore, exploratory wells are only drilled in areas where other data has indicated a high probability of petroleum formations. Logging refers to performing tests during or after the drilling process to allow geologists and drill operators to monitor the progress of the well drilling and to gain a clearer picture of subsurface formations. There are many different types of logging, in fact; over 100 different logging tests can be performed, but essentially they consist of a variety of tests that illuminate the true composition and characteristics of the different layers of rock that the well passes through. Logging is also essential during the drilling process. Monitoring logs can ensure that the correct drilling equipment is used and that drilling is not continued if unfavorable conditions develop. It is beyond the scope of this website to get into detail concerning the various types of logging tests that can be performed. Various types of tests include standard, electric, acoustic, radioactivity, density, induction, caliper, directional and nuclear logging, to name but a few. Two of the most prolific and often performed tests include standard logging and electric logging. Standard logging consists of examining and recording the physical aspects of a well. For example, the drill cuttings (pieces of rock displaced by the drilling of the well) are all examined and recorded, allowing geologists to physically examine the subsurface rock. Also, core samples are taken by lifting a sample of underground rock intact to the surface, allowing the various layers of rock and their thickness to be examined. These cuttings and cores are often examined using powerful microscopes that can magnify the rock up to 2,000 times. This allows the geologist to examine the porosity and fluid content of the subsurface rock, and to gain a better understanding of the earth in which the well is being drilled. Electric logging consists of lowering a device used to measure the electric resistance of the rock layers in the 'down hole' portion of the well. This is done by running an electric current through the rock formation and measuring the resistance that it encounters along its way. This gives geologists an idea of the fluid content and characteristics. A newer version of electric logging, called induction electric logging, provides much the same types of readings, but is more easily performed and provides data that is more easily interpreted. An example of the data obtained through various forms of logging is shown below. In this representation, the different columns indicate the results of different types of tests. The data is interpreted by an experienced geologist, geophysicist, or petroleum engineer, who is able to learn from what appear as 'squiggly' lines on the well data readout. The drilling of an exploratory or developing well is the first contact that a geologist or petroleum engineer has with the actual contents of the subsurface geology. Logging, in its many forms, uses this opportunity to gain a fuller understanding of what actually lies beneath the surface. In addition to providing information specific to that particular well, vast archives of historical logs exist for geologists interested in the geologic features of a given or similar area. There are many sources of data and information for the geologist and geophysicist to use in the exploration for hydrocarbons. However, this raw data alone would be useless without careful and methodical interpretation. Much like putting together a puzzle, the geophysicist uses all of the sources of data available to create a model, or educated guess, as to the structure of the layers of rock under the ground. Some techniques, including seismic exploration, lend themselves well to the construction of a hand- or computer-generated visual interpretation of an underground formation. Other sources of data, such as that obtained from core samples or logging, are taken into account by the geologist when determining the subsurface geological structures. Despite the amazing evolution of technology and exploration techniques, the only way of being sure that a petroleum or natural gas reservoir exists is to drill an exploratory well. Geologists and geophysicists can make their best guesses as to the location of reservoirs, but these are not infallible. Two-dimensional seismic imaging refers to geophysicists using the data collected from seismic exploration activities to develop a cross-sectional picture of the underground rock formations. The geophysicist interprets the seismic data obtained from the field, taking the vibration recordings of the seismograph and using them to develop a conceptual model of the composition and thickness of the various layers of rock underground. This process is normally used to map underground formations, and to make estimates based on the geologic structures to determine where it is likely that deposits may exist. Another technique using basic seismic data is known as 'direct detection.' In the mid-1970s, it was discovered that white bands, called 'bright spots', often appeared on seismic recording strips. These white bands could indicate deposits of hydrocarbons. The nature of porous rock that contains natural gas could often result in reflecting stronger seismic reflections than normal, water-filled rock. Therefore, in these circumstances, the actual natural gas reservoir could be detected directly from the seismic data. However, this does not hold universally. Many of these 'bright spots' do not contain hydrocarbons, and many deposits of hydrocarbons are not indicated by white strips on the seismic data. Therefore, although adding a new technique of locating petroleum and natural gas reservoirs, direct detection is not a completely reliable method. 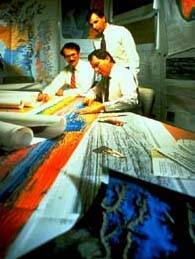 One of the greatest innovations in the history of petroleum exploration is the use of computers to compile and assemble geologic data into a coherent 'map' of the underground. Use of this computer technology is referred to as 'CAEX', which is short for 'computer assisted exploration'. With the development of the microprocessor, it has become relatively easy to use computers to assemble seismic data that is collected from the field. 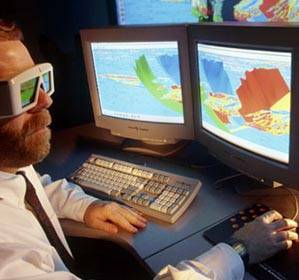 This allows for the processing of very large amounts of data, increasing the reliability and informational content of the seismic model. There are three main types of computer-assisted exploration models: two-dimensional (2-D), three-dimensional (3-D), and most recently, four-dimensional (4-D). These imaging techniques, while relying mainly on seismic data acquired in the field, are becoming more and more sophisticated. Computer technology has advanced so far that it is now possible to incorporate the data obtained from different types of tests, such as logging, production information, and gravimetric testing, which can all be combined to create a 'visualization' of the underground formation. Thus geologists and geophysicists are able to combine all of their sources of data to compile one clear, complete image of subsurface geology. An example of this is shown where a geologist uses an interactive computer generated visualization of 3-D seismic data to explore the subsurface layers. One of the biggest breakthroughs in computer-aided exploration was the development of three-dimensional (3-D) seismic imaging. Three-D imaging utilizes seismic field data to generate a three dimensional 'picture' of underground formations and geologic features. This, in essence, allows the geophysicist and geologist to see a clear picture of the composition of the Earth's crust in a particular area. This is tremendously useful in allowing for the exploration of petroleum and natural gas, as an actual image could be used to estimate the probability of formations existing in a particular area, and the characteristics of that potential formation. This technology has been extremely successful in raising the success rate of exploration efforts. In fact, using 3-D seismic has been estimated to increase the likelihood of successful reservoir location by 50 percent. Although this technology is very useful, it is also very costly. Three-D seismic imaging can cost hundreds of thousands of dollars per square mile. The generation of 3-D images requires data to be collected from several thousand locations, as opposed to 2-D imaging, which only requires several hundred data points. As such, 3-D imaging is a much more involved and prolonged process. Therefore, it is usually used in conjunction with other exploration techniques. For example, a geophysicist may use traditional 2-D modeling and examination of geologic features to determine if there is a probability of the presence of natural gas. Once these basic techniques are used, 3-D seismic imaging may be used only in those areas that have a high probability of containing reservoirs. In addition to broadly locating petroleum reservoirs, 3-D seismic imaging allows for the more accurate placement of wells to be drilled. This increases the productivity of successful wells, allowing for more petroleum and natural gas to be extracted from the ground. In fact, 3-D seismic can increase the recovery rates of productive wells to 40-50 percent, as opposed to 25-30 percent with traditional 2-D exploration techniques. In addition to broadly locating petroleum reservoirs, 3-D seismic imaging allows for the more accurate placement of wells to be drilled. This increases the productivity of successful wells, allowing for more petroleum and natural gas to be extracted from the ground. In fact, 3-D seismic can increase the recovery rates of productive wells to 40 to 50 percent or greater, as opposed to 25 to 30 percent with traditional 2-D exploration techniques. Three-D seismic imaging has become an extremely important tool in the search natural gas. By 1980, only 100 3-D seismic imaging tests had been performed. However, by the mid 1990s, 200 to 300 3-D seismic surveys were being performed each year. In 1996, in the Gulf of Mexico, one of the largest natural gas-producing areas in the U.S., nearly 80 percent of wells drilled in the Gulf were based on 3-D seismic data. 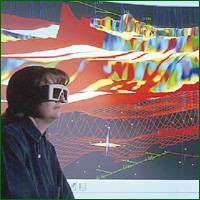 In 1993, 75 percent of all onshore exploratory surveys conducted used 3-D seismic imaging. Two-dimensional (2-D) computer-assisted exploration includes generating an image of subsurface geology much in the same manner as in normal 2-D data interpretation. However, with the aid of computer technology, it is possible to generate more detailed maps more quickly than by the traditional method. In addition, with 2-D CAEX it is possible to use color graphic displays generated by a computer to highlight geologic features that may not be apparent using traditional 2-D seismic imaging methods. While 2-D seismic imaging is less complicated and less detailed than 3-D imaging, it must be noted that 3-D imaging techniques were developed prior to 2-D techniques. Thus, although it does not appear to be the logical progression of techniques, the simpler 2-D imaging techniques were actually an extension of 3-D techniques, not the other way around. Because it is simpler, 2-D imaging is much cheaper, and more easily and quickly performed, than 3-D imaging. Because of this, 2-D CAEX imaging may be used in areas that are somewhat likely to contain natural gas deposits, but not likely enough to justify the full cost and time commitment required by 3-D imaging. One of the latest breakthroughs in seismic exploration and the modeling of underground rock formations has been the introduction of four-dimensional (4-D) seismic imaging. This type of imaging is an extension of 3-D imaging technology. However, instead of achieving a simple, static image of the underground, in 4-D imaging the changes in structures and properties of underground formations are observed over time. Since the fourth dimension in 4-D imaging is time, it is also referred to as 4-D 'time lapse' imaging. Various seismic readings of a particular area are taken at different times, and this sequence of data is fed into a powerful computer. The different images are amalgamated to create a 'movie' of what is going on under the ground. By studying how seismic images change over time, geologists can gain a better understanding of many properties of the rock, including underground fluid flow, viscosity, temperature and saturation. Although very important in the exploration process, 4-D seismic images can also be used by petroleum geologists to evaluate the properties of a reservoir, including how it is expected to deplete once petroleum extraction has begun. Using 4-D imaging on a reservoir can increase recovery rates above what can be achieved using 2-D or 3-D imaging. Where the recovery rates using these two types of images are 25 to 30 percent and 40 to 50 percent respectively, the use of 4-D imaging can result in recovery rates of 65 to 70 percent. Now that we have taken a look at how natural gas deposits are found, the next step in the natural gas line is the process of extraction. Horizontal drilling starts with a vertical well that turns horizontal within the reservoir rock in order to expose more open hole to the oil. These horizontal "legs" can be over a mile long; the longer the exposure length, the more oil and natural gas is drained and the faster it can flow. More oil and natural gas can be produced with fewer wells and less surface disturbance. However, the technology only can be employed in certain locations. Sometimes oil and natural gas reserves are located in separate layers underground. Multilateral drilling allows producers to branch out from the main well to tap reserves at different depths. This dramatically increases production from a single well and reduces the number of wells drilled on the surface. Extended Reach Drilling allows producers to reach deposits that are great distances away from the drilling rig. This can help producers tap oil and natural gas deposits under surface areas where a vertical well cannot be drilled, such as under developed or environmentally sensitive areas. Wells can now reach out over 5 miles from the surface location. Offshore, the use of extended reach drilling allows producers to reach accumulations far from offshore platforms, minimizing the number of platforms needed to produce all the oil and gas. Onshore, dozens of wells can be drilled from a single location, reducing surface impacts. Complex Path Drilling creates well paths with have multiple twists and turns to try to hit multiple accumulations from a single well location. Using this technology can be more cost effective and produce less waste and surface impacts than drilling multiple wells. Natural gas, as it is used by consumers, is much different from the natural gas that is brought from underground up to the wellhead. Although the processing of natural gas is in many respects less complicated than the processing and refining of crude oil, it is equally as necessary before its use by end users. 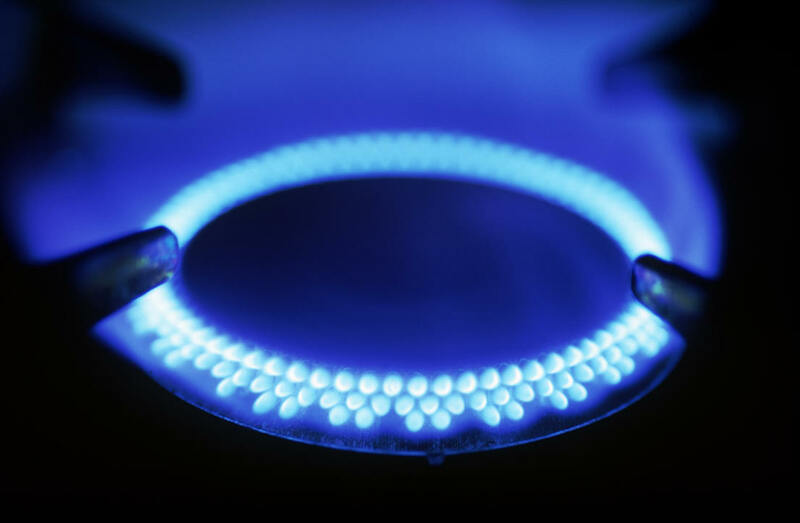 The natural gas used by consumers is composed almost entirely of methane. However, natural gas found at the wellhead, although still composed primarily of methane, is by no means as pure. Raw natural gas comes from three types of wells: oil wells, gas wells, and condensate wells. Natural gas that comes from oil wells is typically termed 'associated gas'. This gas can exist separate from oil in the formation (free gas), or dissolved in the crude oil (dissolved gas). Natural gas from gas and condensate wells, in which there is little or no crude oil, is termed 'nonassociated gas'. Gas wells typically produce raw natural gas by itself, while condensate wells produce free natural gas along with a semi-liquid hydrocarbon condensate. Whatever the source of the natural gas, once separated from crude oil (if present) it commonly exists in mixtures with other hydrocarbons; principally ethane, propane, butane, and pentanes. In addition, raw natural gas contains water vapor, hydrogen sulfide (H2S), carbon dioxide, helium, nitrogen, and other compounds. While some of the needed processing can be accomplished at or near the wellhead (field processing), the complete processing of natural gas takes place at a processing plant, usually located in a natural gas producing region. 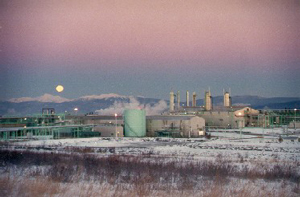 The extracted natural gas is transported to these processing plants through a network of gathering pipelines, which are small-diameter, low pressure pipes. A complex gathering system can consist of thousands of miles of pipes, interconnecting the processing plant to upwards of 100 wells in the area. According to the American Gas Association's Gas Facts 2000, there was an estimated 36,100 miles of gathering system pipelines in the U.S. in 1999. In addition to processing done at the wellhead and at centralized processing plants, some final processing is also sometimes accomplished at 'straddle extraction plants'. These plants are located on major pipeline systems. 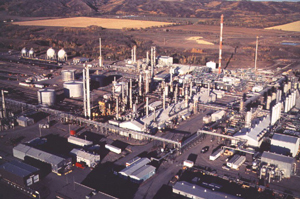 Although the natural gas that arrives at these straddle extraction plants is already of pipeline quality, in certain instances there still exist small quantities of NGLs, which are extracted at the straddle plants. In addition to the four processes above, heaters and scrubbers are installed, usually at or near the wellhead. The scrubbers serve primarily to remove sand and other large-particle impurities. The heaters ensure that the temperature of the gas does not drop too low. With natural gas that contains even low quantities of water, natural gas hydrates have a tendency to form when temperatures drop. These hydrates are solid or semi-solid compounds, resembling ice like crystals. Should these hydrates accumulate, they can impede the passage of natural gas through valves and gathering systems. To reduce the occurrence of hydrates, small natural gas-fired heating units are typically installed along the gathering pipe wherever it is likely that hydrates may form. In order to process and transport associated dissolved natural gas, it must be separated from the oil in which it is dissolved. This separation of natural gas from oil is most often done using equipment installed at or near the wellhead. The actual process used to separate oil from natural gas, as well as the equipment that is used, can vary widely. Although dry pipeline quality natural gas is virtually identical across different geographic areas, raw natural gas from different regions may have different compositions and separation requirements. In many instances, natural gas is dissolved in oil underground primarily due to the pressure that the formation is under. When this natural gas and oil is produced, it is possible that it will separate on its own, simply due to decreased pressure; much like opening a can of soda pop allows the release of dissolved carbon dioxide. In these cases, separation of oil and gas is relatively easy, and the two hydrocarbons are sent separate ways for further processing. The most basic type of separator is known as a conventional separator. It consists of a simple closed tank, where the force of gravity serves to separate the heavier liquids like oil, and the lighter gases, like natural gas. In certain instances, however, specialized equipment is necessary to separate oil and natural gas. An example of this type of equipment is the Low-Temperature Separator (LTX). This is most often used for wells producing high pressure gas along with light crude oil or condensate. These separators use pressure differentials to cool the wet natural gas and separate the oil and condensate. Wet gas enters the separator, being cooled slightly by a heat exchanger. The gas then travels through a high pressure liquid 'knockout', which serves to remove any liquids into a low-temperature separator. The gas then flows into this low-temperature separator through a choke mechanism, which expands the gas as it enters the separator. This rapid expansion of the gas allows for the lowering of the temperature in the separator. After liquid removal, the dry gas then travels back through the heat exchanger and is warmed by the incoming wet gas. By varying the pressure of the gas in various sections of the separator, it is possible to vary the temperature, which causes the oil and some water to be condensed out of the wet gas stream. This basic pressure-temperature relationship can work in reverse as well, to extract gas from a liquid oil stream. In addition to separating oil and some condensate from the wet gas stream, it is necessary to remove most of the associated water. Most of the liquid, free water associated with extracted natural gas is removed by simple separation methods at or near the wellhead. However, the removal of the water vapor that exists in solution in natural gas requires a more complex treatment. This treatment consists of 'dehydrating' the natural gas, which usually involves one of two processes: either absorption, or adsorption. Absorption occurs when the water vapor is taken out by a dehydrating agent. Adsorption occurs when the water vapor is condensed and collected on the surface. An example of absorption dehydration is known as Glycol Dehydration. In this process, a liquid desiccant dehydrator serves to absorb water vapor from the gas stream. Glycol, the principal agent in this process, has a chemical affinity for water. This means that, when in contact with a stream of natural gas that contains water, glycol will serve to 'steal' the water out of the gas stream. Essentially, glycol dehydration involves using a glycol solution, usually either diethylene glycol (DEG) or triethylene glycol (TEG), which is brought into contact with the wet gas stream in what is called the 'contactor'. The glycol solution will absorb water from the wet gas. Once absorbed, the glycol particles become heavier and sink to the bottom of the contactor where they are removed. The natural gas, having been stripped of most of its water content, is then transported out of the dehydrator. The glycol solution, bearing all of the water stripped from the natural gas, is put through a specialized boiler designed to vaporize only the water out of the solution. While water has a boiling point of 212 degrees Fahrenheit, glycol does not boil until 400 degrees Fahrenheit. This boiling point differential makes it relatively easy to remove water from the glycol solution, allowing it be reused in the dehydration process. A new innovation in this process has been the addition of flash tank separator-condensers. As well as absorbing water from the wet gas stream, the glycol solution occasionally carries with it small amounts of methane and other compounds found in the wet gas. In the past, this methane was simply vented out of the boiler. 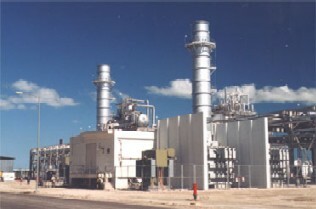 In addition to losing a portion of the natural gas that was extracted, this venting contributes to air pollution and the greenhouse effect. In order to decrease the amount of methane and other compounds that are lost, flash tank separator-condensers work to remove these compounds before the glycol solution reaches the boiler. Essentially, a flash tank separator consists of a device that reduces the pressure of the glycol solution stream, allowing the methane and other hydrocarbons to vaporize ('flash'). The glycol solution then travels to the boiler, which may also be fitted with air or water cooled condensers, which serve to capture any remaining organic compounds that may remain in the glycol solution. In practice, according to the Department of Energy's Office of Fossil Energy, these systems have been shown to recover 90 to 99 percent of methane that would otherwise be flared into the atmosphere. Solid-desiccant dehydration is the primary form of dehydrating natural gas using adsorption, and usually consists of two or more adsorption towers, which are filled with a solid desiccant. Typical desiccants include activated alumina or a granular silica gel material. Wet natural gas is passed through these towers, from top to bottom. As the wet gas passes around the particles of desiccant material, water is retained on the surface of these desiccant particles. Passing through the entire desiccant bed, almost all of the water is adsorbed onto the desiccant material, leaving the dry gas to exit the bottom of the tower. Solid-desiccant dehydrators are typically more effective than glycol dehydrators, and are usually installed as a type of straddle system along natural gas pipelines. These types of dehydration systems are best suited for large volumes of gas under very high pressure, and are thus usually located on a pipeline downstream of a compressor station. Two or more towers are required due to the fact that after a certain period of use, the desiccant in a particular tower becomes saturated with water. To 'regenerate' the desiccant, a high-temperature heater is used to heat gas to a very high temperature. Passing this heated gas through a saturated desiccant bed vaporizes the water in the desiccant tower, leaving it dry and allowing for further natural gas dehydration. Natural gas coming directly from a well contains many natural gas liquids that are commonly removed. In most instances, natural gas liquids (NGLs) have a higher value as separate products, and it is thus economical to remove them from the gas stream. 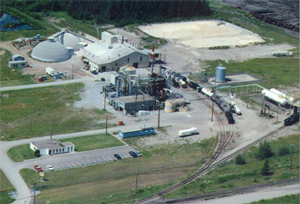 The removal of natural gas liquids usually takes place in a relatively centralized processing plant, and uses techniques similar to those used to dehydrate natural gas. 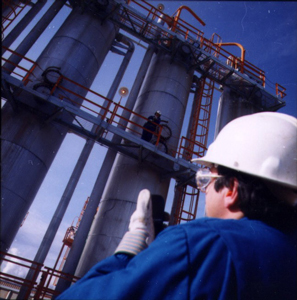 There are two basic steps to the treatment of natural gas liquids in the natural gas stream. First, the liquids must be extracted from the natural gas. Second, these natural gas liquids must be separated themselves, down to their base components. There are two principle techniques for removing NGLs from the natural gas stream: the absorption method and the cryogenic expander process. According to the Gas Processors Association, these two processes account for around 90 percent of total natural gas liquids production. The absorption method of NGL extraction is very similar to using absorption for dehydration. The main difference is that, in NGL absorption, an absorbing oil is used as opposed to glycol. This absorbing oil has an 'affinity' for NGLs in much the same manner as glycol has an affinity for water. Before the oil has picked up any NGLs, it is termed 'lean' absorption oil. As the natural gas is passed through an absorption tower, it is brought into contact with the absorption oil which soaks up a high proportion of the NGLs. The 'rich' absorption oil, now containing NGLs, exits the absorption tower through the bottom. It is now a mixture of absorption oil, propane, butanes, pentanes, and other heavier hydrocarbons. The rich oil is fed into lean oil stills, where the mixture is heated to a temperature above the boiling point of the NGLs, but below that of the oil. This process allows for the recovery of around 75 percent of butanes, and 85 - 90 percent of pentanes and heavier molecules from the natural gas stream. The basic absorption process above can be modified to improve its effectiveness, or to target the extraction of specific NGLs. In the refrigerated oil absorption method, where the lean oil is cooled through refrigeration, propane recovery can be upwards of 90 percent, and around 40 percent of ethane can be extracted from the natural gas stream. Extraction of the other, heavier NGLs can be close to 100 percent using this process. Cryogenic processes are also used to extract NGLs from natural gas. While absorption methods can extract almost all of the heavier NGLs, the lighter hydrocarbons, such as ethane, are often more difficult to recover from the natural gas stream. In certain instances, it is economic to simply leave the lighter NGLs in the natural gas stream. However, if it is economic to extract ethane and other lighter hydrocarbons, cryogenic processes are required for high recovery rates. Essentially, cryogenic processes consist of dropping the temperature of the gas stream to around -120 degrees Fahrenheit. There are a number of different ways of chilling the gas to these temperatures, but one of the most effective is known as the turbo expander process. In this process, external refrigerants are used to cool the natural gas stream. Then, an expansion turbine is used to rapidly expand the chilled gases, which causes the temperature to drop significantly. This rapid temperature drop condenses ethane and other hydrocarbons in the gas stream, while maintaining methane in gaseous form. This process allows for the recovery of about 90 to 95 percent of the ethane originally in the gas stream. In addition, the expansion turbine is able to convert some of the energy released when the natural gas stream is expanded into recompressing the gaseous methane effluent, thus saving energy costs associated with extracting ethane. The extraction of NGLs from the natural gas stream produces both cleaner, purer natural gas, as well as the valuable hydrocarbons that are the NGLs themselves. Deethanizer - this step separates the ethane from the NGL stream. Depropanizer - the next step separates the propane. Debutanizer - this step boils off the butanes, leaving the pentanes and heavier hydrocarbons in the NGL stream. Butane Splitter or Deisobutanizer - this step separates the iso and normal butanes. By proceeding from the lightest hydrocarbons to the heaviest, it is possible to separate the different NGLs reasonably easily. In addition to water, oil, and NGL removal, one of the most important parts of gas processing involves the removal of sulfur and carbon dioxide. Natural gas from some wells contains significant amounts of sulfur and carbon dioxide. This natural gas, because of the rotten smell provided by its sulfur content, is commonly called 'sour gas'. Sour gas is undesirable because the sulfur compounds it contains can be extremely harmful, even lethal, to breathe. Sour gas can also be extremely corrosive. In addition, the sulfur that exists in the natural gas stream can be extracted and marketed on its own. In fact, according to the USGS, U.S. sulfur production from gas processing plants accounts for about 15 percent of the total U.S. production of sulfur. Sulfur exists in natural gas as hydrogen sulfide (H2S), and the gas is usually considered sour if the hydrogen sulfide content exceeds 5.7 milligrams of H2S per cubic meter of natural gas. The process for removing hydrogen sulfide from sour gas is commonly referred to as 'sweetening' the gas. The primary process for sweetening sour natural gas is quite similar to the processes of glycol dehydration and NGL absorption. In this case, however, amine solutions are used to remove the hydrogen sulfide. This process is known simply as the 'amine process', or alternatively as the Girdler process, and is used in 95 percent of U.S. gas sweetening operations. 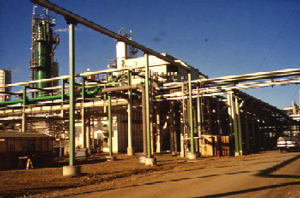 The sour gas is run through a tower, which contains the amine solution. This solution has an affinity for sulfur, and absorbs it much like glycol absorbing water. There are two principle amine solutions used, monoethanolamine (MEA) and diethanolamine (DEA). Either of these compounds, in liquid form, will absorb sulfur compounds from natural gas as it passes through. The effluent gas is virtually free of sulfur compounds, and thus loses its sour gas status. Like the process for NGL extraction and glycol dehydration, the amine solution used can be regenerated (that is, the absorbed sulfur is removed), allowing it to be reused to treat more sour gas. Although most sour gas sweetening involves the amine absorption process, it is also possible to use solid desiccants like iron sponges to remove the sulfide and carbon dioxide. Sulfur can be sold and used if reduced to its elemental form. 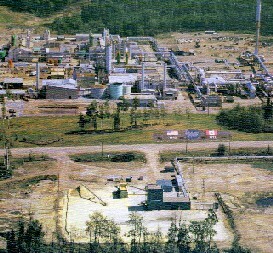 Elemental sulfur is a bright yellow powder like material, and can often be seen in large piles near gas treatment plants, as is shown. 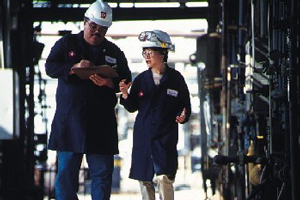 In order to recover elemental sulfur from the gas processing plant, the sulfur containing discharge from a gas sweetening process must be further treated. The process used to recover sulfur is known as the Claus process, and involves using thermal and catalytic reactions to extract the elemental sulfur from the hydrogen sulfide solution. In all, the Claus process is usually able to recover 97 percent of the sulfur that has been removed from the natural gas stream. Since it is such a polluting and harmful substance, further filtering, incineration, and 'tail gas' clean up efforts ensure that well over 98 percent of the sulfur is recovered. Gas processing is an instrumental piece of the natural gas value chain. It is instrumental in ensuring that the natural gas intended for use is as clean and pure as possible, making it the clean burning and environmentally sound energy choice. 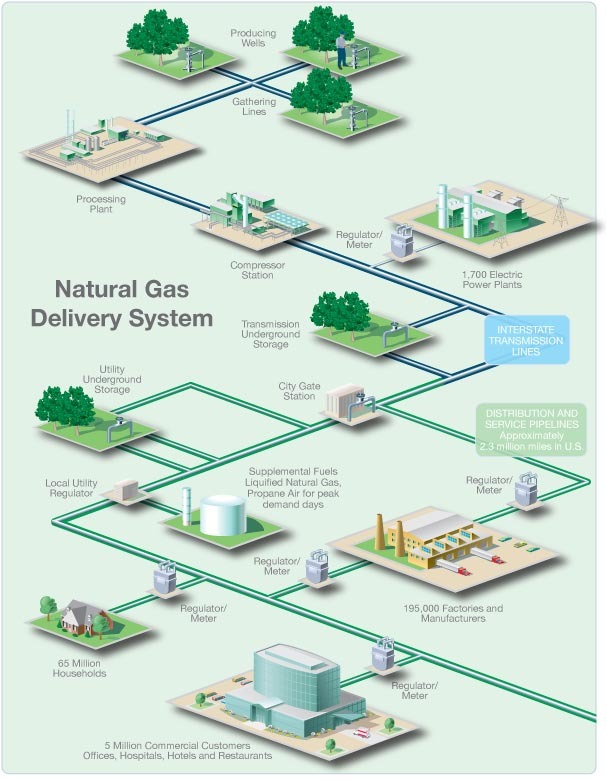 Once the natural gas has been fully processed, and is ready to be consumed, it must be transported from those areas that produce natural gas, to those areas that require it. Natural gas is moved by pipelines from the producing fields to consumers. Since natural gas demand is greater in the winter, gas is stored along the way in large underground storage systems, such as old oil and gas wells or caverns formed in old salt beds. The gas remains there until it is added back into the pipeline when people begin to use more gas, such as in the winter to heat homes. When chilled to very cold temperatures, approximately -260 degrees Fahrenheit, natural gas changes into a liquid and can be stored in this form. Liquefied natural gas (LNG) can be loaded onto tankers (large ships with several domed tanks) and moved across the ocean to deliver gas to other countries. Once in this form, it takes up only 1/600th of the space that it would in its gaseous state. When this LNG is received in the United States, it can be shipped by truck to be held in large chilled tanks close to users or turned back into gas to add to pipelines.